"Rasayana" is Sanskrit term for the body of knowledge developed by ancient sages that covers the subtle essences of nutrients that rejuvenate and restore various organ systems of our bodies. One could say that "rasa" is the illusive fountain of youth or alchemical substance found in certain herbs and foods that have the power to regenerate. In theory, all rasayanas are tonifying and none have either side effects or risks of overdosing. All are believed to enhance clarity, memory, and longevity. Rasayanas might be preserved in ghee or honey, and they rely on a small number of highly revered extraordinary herbs: amla, ashwagandha, guduchi, shatavari, tulsi, and some 15-30 more. Ashwagandha holds the top position among Indian rasayana herbs. It is adaptogenic, stamina building, and tonifying to the male reproductive system. The most celebrated function of ashwagandha is that it protects tissues from the usual repercussions of stress. So, it is more than an adrenal tonic, it actually shields the body from stress-induced injury. It has been demonstrated to be antitumoral, anti-arthritic, and due to the action of steroidal-like plant compounds, it is anti-inflammatory. 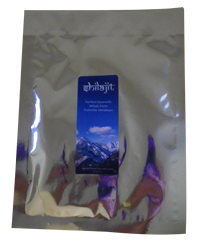 It is not in the historic Chyawanprash formula but is substituted for two ashtavarga herbs that are scarce. Ingredients: certified organic Withania somnifera root powder. Ingredients: Proprietary blend of Asparagus racemosus root OG, Centella asiatica aerial parts OG, Glycyrrhiza glabra root, Convolvulus pluricaulis aerial parts, Ocimum sanctum leaf & flower OG, Bacopa monnieri aerial parts, Shilajit WC and honey in distilled water, organic alcohol, and vegetable glycerin.